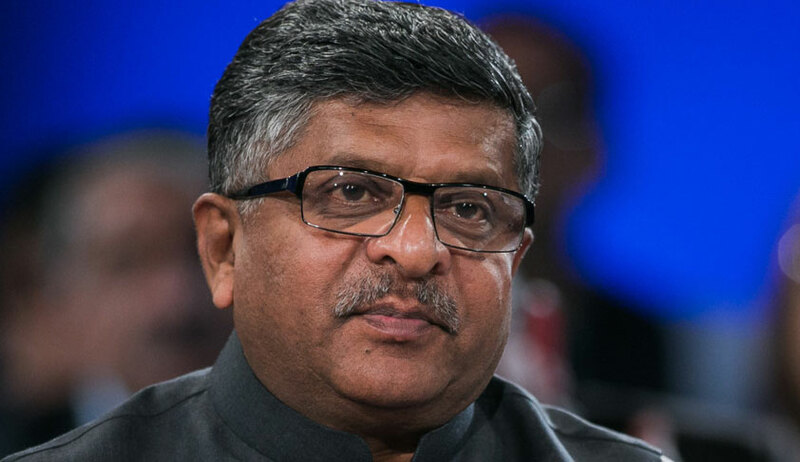 Responding to the allegations of the Centre having stalled appointments to the Supreme Court and the 24 High Courts, Union Minister for Law and Justice Ravi Shankar Prasad on Monday said that the Law Ministry was not a "post office" that it would only process recommendations of the collegium on the appointment of judges. According to a PTI report, the Law Minister was speaking at the launch of the website and mobile app for Nyaya Vikas – a programme launched by the Law Ministry to monitor the progress of development of judicial infrastructure in real time. Addressing the gathering on the issue of vacancies, Mr. Prasad in fact went on to blame the higher judiciary for the vacancies in the lower judiciary, and sought to absolve the Centre and the State Governments from the allegations of delaying such appointments. He added, "In 2016, we appointed 126 HC judges, which was the highest number in the last 30 years. Since 1989, on average 79 to 82 judges were appointed (per annum). In 2016 alone, 126 judges to high courts were appointed and in 2017, 117 HC judges were appointed, and till now 30 HC judges have been appointed (this year)." Mr. Prasad then proposed a national level entrance test for "talent infusion" into the lower judiciary. He clarified that he was not advocating for a national level judicial service on the lines of the all-India services like the Indian Administrative Service and Indian Police Service, but for an exam that would allow lawyers graduating from National Law Universities every year to join the judicial service. Mr. Prasad asserted that the executive was not committing a "cardinal sin" by seeking reconsideration of some proposals made by the Supreme Court collegium on the appointment of judges. This was seemingly in response to the criticism being meted out to the Centre for rejecting the collegium's recommendation to elevate Chief Justice of Uttarakhand High Court, Justice K.M. Joseph to the Supreme Court. Defending the decision, he further said, "Even in the collegium system (of appointing judges), the right of the government to seek reconsideration and provide inputs is recognized"
Mr. Prasad also said that the parties which had lost in elections were using the Courts to hit back at the ruling party through "sponsored litigation". This seemed like a veiled attack on the Congress, which swayed the Karnataka Assembly elections last month by approaching the Apex Court against the Governor's decision to invite BJP to form the Government, despite BJP lacking the numbers to cross the majority mark. Referring to the unprecedented press conference held by the four senior most Supreme Court Judges in January this year, Mr. Prasad also asserted that the judiciary had enough "foresight and statesmanship" to settle its differences within. "I would urge the political process to remain as immune as possible from this process. Judges will come, judges will go, but the institution of judiciary has to remain. And we must respect their institutional integrity," he was quoted as saying. The Supreme Court had last year taken suo motu cognizance of a letter issued by Law Ministry to Secretary-General of the Apex Court on the issue of a Central Selection Mechanism for the Subordinate judiciary to make selections to the subordinate judiciary across the Country. After a few High Courts and State Governments expressed their reservations about the idea, then Chief Justice of India J.S. Khehar had requested Senior Advocate Arvind Datar to submit a concept note. Mr. Datar's note had drawn parallels with the Central Civil services, submitting that it attracts highly capable individuals every year, and that an important reason for this could be the selection process itself. The primary reason cited by him for setting up a Central Selection Mechanism was therefore to provide a regular pool of meritorious candidates to recruitment and selection bodies for State Judicial Services across India. He had proposed a selection mechanism as well, calling it District Judges Recruitment Examination (DJURE), and had clarified that it would neither recruit, nor appoint the Judges. He submitted that it will merely present a pool of candidates from whom Judges can be recruited, after an interview with the selection authority. Unfortunately, the discussion in the case has been at a standstill for over a year now, with case having been taken up in August last year, and likely to be listed in August this year.